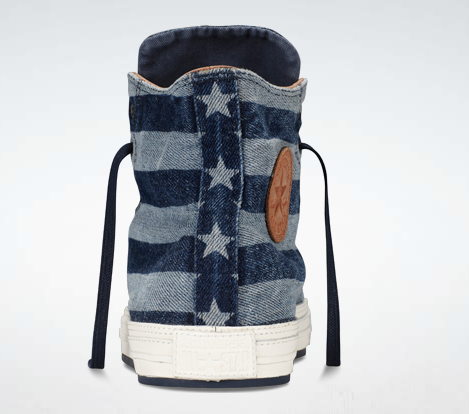 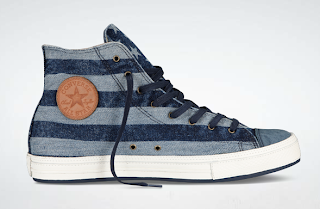 What's more all-American and says 'easy fun' than that of Converse? 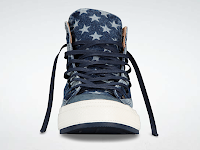 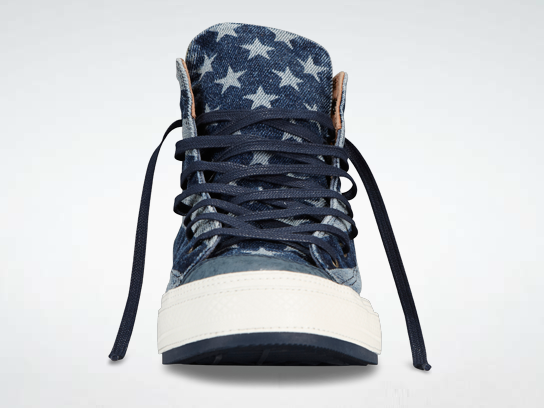 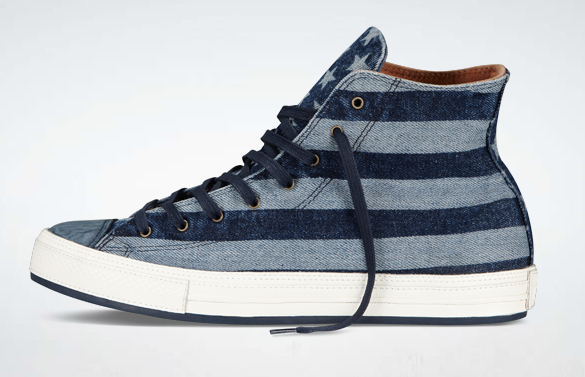 Celebrate the Nation's birthday and the second unofficial start to summer with these Chuck Taylor Premium Flag Hi sneakers. 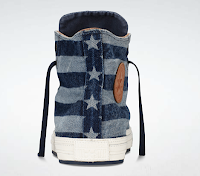 They're dyed blue denim honoring Old Glory with a full leather liner and of course that appeal of looking even better once they're beaten up and worn in. 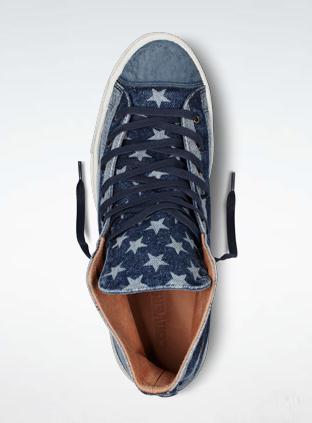 Usher in the red with your shorts, socks or glass of spiked fruit punch perhaps, but please enjoy and be safe on your Fourth everyone!!! 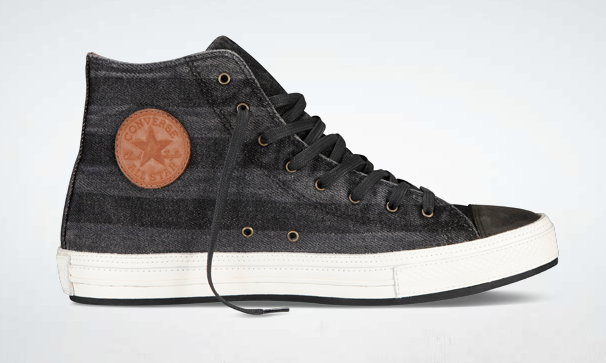 Available now, also in a black denim color-way at Converse.com.